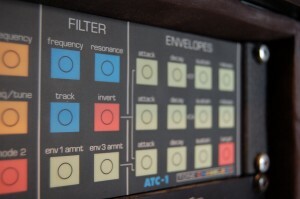 Usually people look at the ATC-1 as a stripped down SE-1 , in fact looking at the specs the SE1 seems a top featured synth with 3 VCO, 2 filters , 4 envelopes, 3 lfo, ringmod, noise etc… while ATC-1 with its 2 VCO, 3 ENV , 2 LFO and a coloured push-membrane panel with one only knob does not look handy and full featured as its brother. Comparing the two Studio Electronics side by side let’s get a totally different opinion. The first thing to notice is the different “sound”, while the SE1 has a kind of boomin’ majesty the ATC1 sounds really snappy and more aggressive with a more “vintage” feel. The VCOs have different carachters, in the SE1 are regular and full of harmonics on the bass range, the ATC1 VCOs are more angular and grittier on the high frequencies. 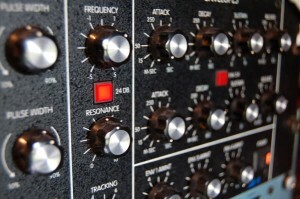 Talking about the filters, testing both the SE1 and ATC1 with the MOOG FILTER, the SE-1 has a boomin’rounder sound, very powerful in the sub range, the ATC-1 has a more punchy percussive behaviour and a slightly bigger response in the frequency cut off min-max gap, like if the filter could reach higher frequencies/ get more open. 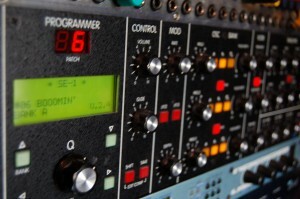 The ENVELOPE section is the part that more influences the sound together with the VCA. The SE-1 has booming env , not really fast but really effective to get the presence and power on the bass frequencies range for basses and percussions and to get the smooth leads that are a part of the carachter of this synth. The VCA on the SE1 is really warm and smooth, resulting in a really dinamic but always warm and clean sound. On the ATC-1 the ENVELOPEs are really snappy and fast, and make the synth really percussive sounding, with an awesome power on punchy basses, not as deep as the SE1, but really kicking. The ATC1 VCA is more raw and vintage sounding, it’s less smooth than the SE-1 but it results in some way more organic and alive. The big difference in the synthetizing capabilities is the CROSS-MOD present on the ATC-1 and absent on the SE-1. 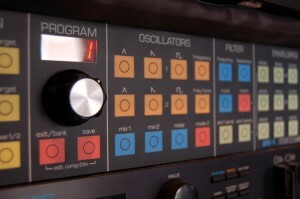 This particular function that let the vco2 modulate the vco1 and/or the filter cutoff frequency let shine the ATC-1 in modular-type sounds, and is the main reason that make us understand that the ATC-1 is not the little brother of the SE1 but a totally weird machine with a target towards classic analog sounds but also for experimental stuff, while the SE1 is more on the classic and “safe” side of monophonic type of sounds. I don’t mean that the SE1 is a machine good only for simple sounds like basses or leads, it can get on experimental sounds too, but the cross mod on the ATC1 is far more effective and open to experimental sound creation. You should depict more about studio electronics SE1 vs ATC1. I hardly understand this. thanks for nice post. very useful.. Tnx a lot.